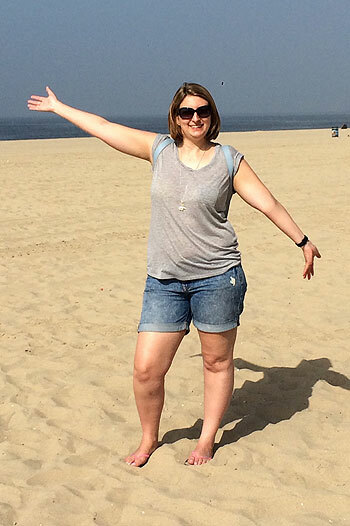 Emily says: “Since enrolling in Joanne’s Slimming Together, I can’t believe what I’ve achieved. Much more than weight loss, Joanne’s cognitive behavioural therapy and wellbeing talks have had a strong effect on my self-confidence, which has escalated. I’ve become a happier, chirpier, funnier person! As a designer, it’s important that I have confidence to share ideas and offer opinions. I used to hold back, but Joanne has instilled a new sense of self-worth in me that has given me the confidence to speak up and express myself. I feel more creative, excited, and enthusiastic.